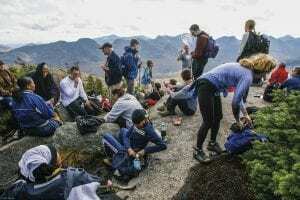 Overuse in portions of the High Peaks is a real and growing problem, exacerbated by trends in social media and the expanding desire to count-off summits. It has been documented extensively here in the Almanack. But in the last few weeks these discussions have reached a rolling boil with a bit too much hyperbole for me. A range of ideas has been raised, a number of them falling under the general concept of limiting access to the High Peaks, including permit systems, licensing schemes, daily caps and so on. Some of these limiting suggestions have been accompanied by exclusionary rhetoric with which I strongly disagree, along the lines of “Why are we trying to get more people here?” or “I like my (town, street, access) the way it is, without all the visitors.” I agree that increasing use in parts of the High Peaks is a real issue, and I have written about various aspects of the problem for several years. But the exclusionary sentiments I’m starting to hear are where I draw the line. » Continue Reading. 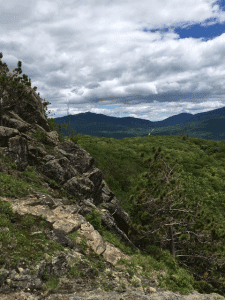 Forest Ranger Rob Praczkajlo covers the district just east of the High Peaks Wilderness, namely the towns of Jay, Elizabethtown, and part of North Hudson. Due to the high rate of search and rescue operations in the adjacent High Peaks, he is just as likely to be found there as he is patrolling his own district. The High Peaks district had more than 100 emergency incidents in 2015 and they do not occur in a vacuum. They are not handled exclusively by the half dozen rangers stationed there. Rangers from all parts of the Adirondacks, and the Forest Preserve they protect, are affected by the drain from so many incidents. The following chronicles one week in July for Ranger Praczkajlo. » Continue Reading. 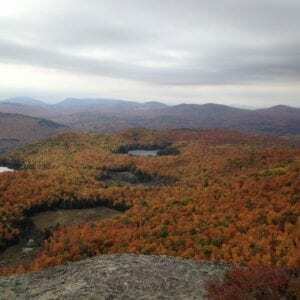 The Adirondack Mountain Club (ADK) owns land with trailheads for some of the most popular mountains in the High Peaks Wilderness, but you wouldn’t know that from their recent promotions on social media and traditional print publications. That’s because the club does not want to exacerbate overcrowding in the High Peaks. Instead of encouraging people to climb Mount Marcy and Algonquin Peak, ADK is teaching people backcountry ethics, including Leave No Trace principles. 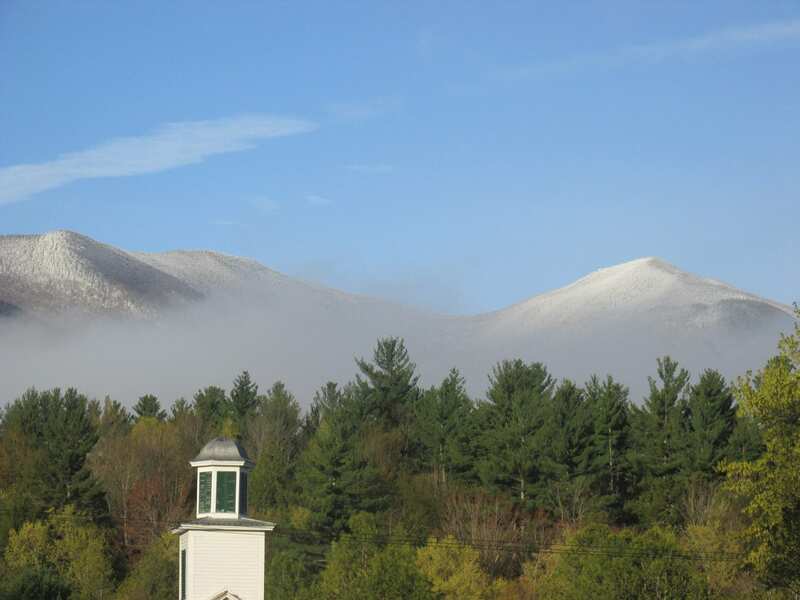 “People are coming no matter what, so we don’t need to promote it, and what we need to promote is how to recreate responsibly,” said Julia Goren, ADK’s education director and summit-steward coordinator. The education campaign is just one of several ways that ADK, the state Department of Environmental Conservation, and other organizations are addressing the overcrowding issue. » Continue Reading. The Adirondack Explorer‘s next “Views of the Park” photo contest is focusing on everyone’s favorite type of photo: from the summit of a mountaintop. 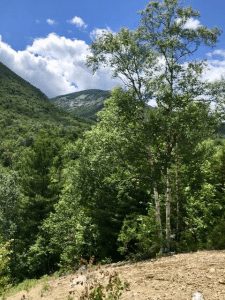 And in light of the ongoing problem of overcrowding in the high peaks region, we’re asking you to post photos from the mountains you’ve hiked that are “Under 4,000” feet, or outside the forty-six high peaks. Post your photos to Facebook and Instagram using the hashtag #adkexplorerpix. » Continue Reading. 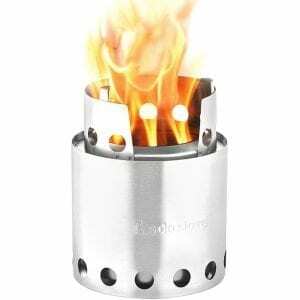 I am a firm believer in the celebrated “Ten Essentials” that every hiker should carry in his pack when he sallies forth into the bush — which for me generally amounts to a map, a compass and eight Advil. Of course the list of essentials includes a lot of other stuff, as well, and is readily searchable online. It’s good to be aware of the list because you never know about weather, you never know about a bad step on a rock, you never know when you are going to need a little extra gas in the tank and, well, you just never know. It’s amazing to me how just a few steps off a well-beaten path can leave you feeling just as lost as Fred Noonan over the South Pacific. But we all backslide a bit. I frequently fail to carry Essential #10, Emergency Shelter on a two-mile out-and- back to Baker Mountain. But within reason I’m pretty good about it, partly out of prudence, partly because I don’t want to get “that look” from other hikers on the trail, the one that says “Look Carol, he is wearing COTTON. To the STAKE with him.” » Continue Reading. 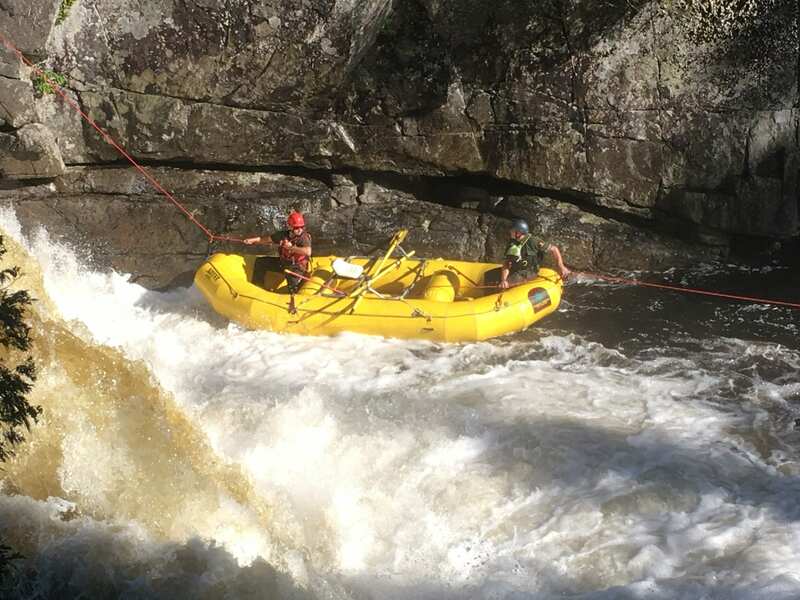 The 6th Annual Ride for the River planned for Sunday, July 16 will feature a new format that allows guests to experience the conservation work of the Ausable River Association (AsRA). The family-friendly event is a fully supported road cycling tour featuring three distance options, all showcasing the Ausable River watershed in the heart of the Adirondacks. Ride for the River was created by AsRA in 2012 to celebrate the resilience of local communities following the devastating flooding caused by Tropical Storm Irene. In partnership with Cycle Adirondacks, the 2017 ride will feature new interactive route stops allowing cyclists to learn about the impacts of road salt, invasive species and undersized culverts on Ausable streams and habitat. » Continue Reading. DEC will be conducting a survey of licensed anglers who fished New York waters in 2017. This survey will be conducted primarily online and participants with valid e-mail addresses will be selected at random from their sporting license database. If you have not already provided your e-mail address when you purchased your license and want to be considered for the survey, e-mail DEC your name, fishing license ID # and e-mail address. Adirondack Foundation’s Uihlein-Ironman Sports Fund (UISF) is accepting grant applications from individuals and organizations for 2017. UISF supports nonprofits and community organizations that foster and promote life-long sports and healthy lifestyles for local kids. The fund also supports local athletes’ achievements, with a new emphasis on those who demonstrate a strong commitment to community service. » Continue Reading. 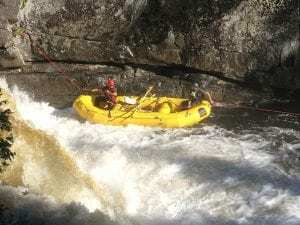 The New York State Department of Environmental Conservation (DEC) is offering a free two-day boater safety course at its Region 5 headquarters in Ray Brook on July 15 and 16. Anyone born after May 1, 1996, must pass an approved boater safety course to legally operate a motor boat. 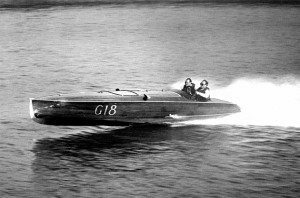 In addition, New York State Law requires a boating safety course for the operation of personal watercraft (PWC). The Safe Boating Course is a comprehensive course that provides the fundamentals of safe boating operation and is approved by the National Association of Boating Law Administrators (NASBLA). Certified Instructors and DEC Environmental Conservation Officers teach the course, which includes eight hours of classroom instruction over two days. » Continue Reading. 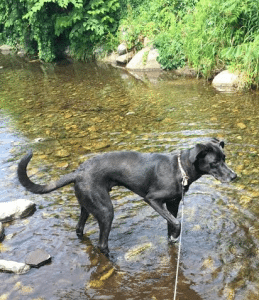 Dog owners should act responsibly and always ensure that their dogs are under the control; for the safety of the dog and wildlife, and to allow an enjoyable outdoor experience for other recreational users. Wildlife approached by dogs may feel threatened and defend themselves, causing injury to the dog. Porcupines, racoons, coyotes, bears, moose and deer can all cause injury to dogs when cornered. Also there is a danger of rabies, distemper or other wildlife diseases being transmitted to the dog. Dogs harassing wildlife can be seriously detrimental, especially in winter. Animals may be injured or killed if caught. This is more likely to happen to young animals, which may also be separated from their parent losing protection and nourishment. Also, animals may be injured while fleeing a pursuit, too. » Continue Reading. I try to stay away from the more popular Adirondack peaks during the summer season, because at my age I’m always afraid some college kid is going to stop me on the trail and ask me to sit for an oral history project. 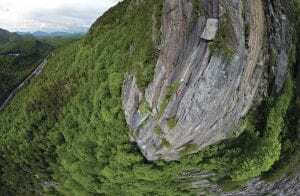 But I figured I needed to climb Owls Head in Keene before it closes later this year due to overuse and the poor manners of hikers whose cars were blocking the driveways of homeowners on the privately owned property. I had seen Owls Head many times as I descended from the Cascade lakes on Rt. 73. I’d always thought to myself, What a cute little mountain; I wonder why nobody ever climbs that? This shows what an idiot I am, because apparently about 7 million people a day climb Owls Head, part of the creeping Cascadeism that turns the stunning pass into a three-mile parking lot on the weekends. » Continue Reading.